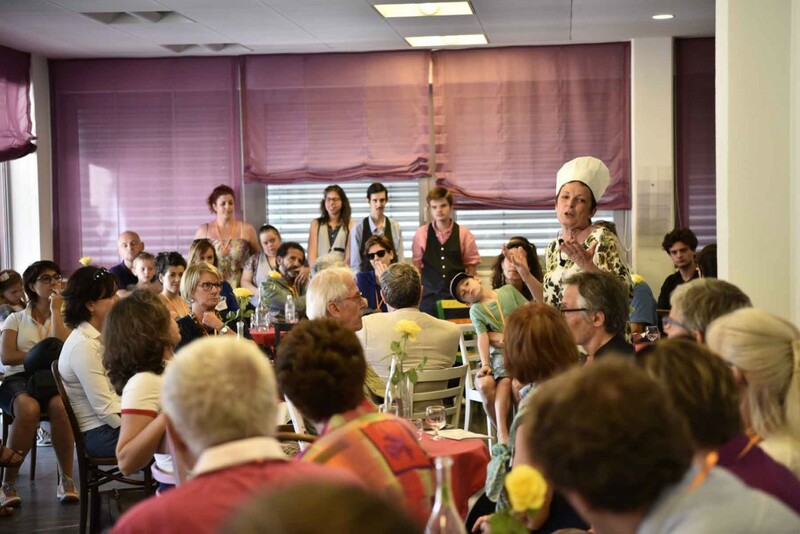 Albergo della Luce is a project of Social Community Theatre that SCT Center has designed and implemented with OTAF Foundation. 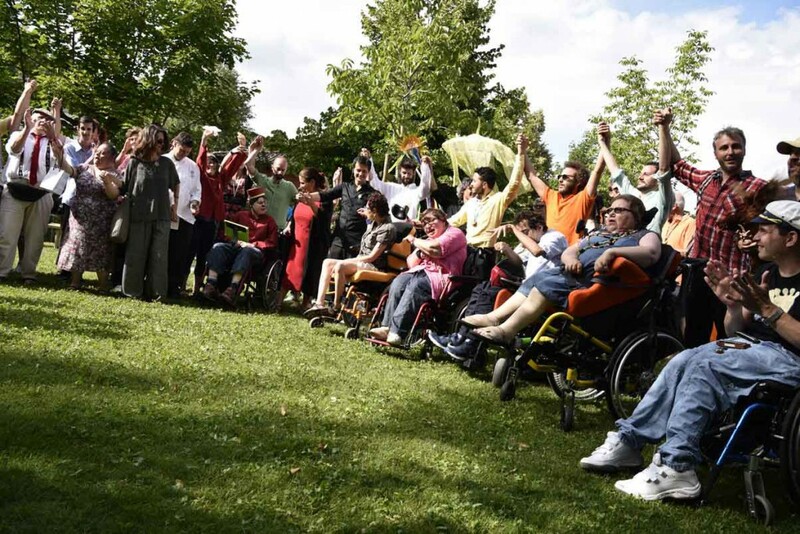 Acceptance and coexistence with disability and illness, support for families and practitioners, public awareness of inclusion and acceptance, the ability to make community are the values ​​that Albergo della Luce supports and develops. 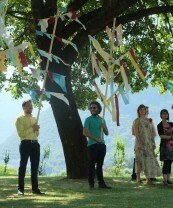 In this twofold perspective of celebrating, through narration, and building communities, through a training course with the practitioners who inhabit the Otaf and events and meeting with families and citizens, the Albergo della luce project proposes a multimodal artistic journey that has been developped from spring 2016 to winter 2017 with different artistic and training actions that intertwine and involve the users, operators and families of the OTAF as well as the citizens of the surrounding area. Builds connections with them and design common activities. Citizens and the community that live near OTAF Foundation, which are involved in an awareness path towards disability. 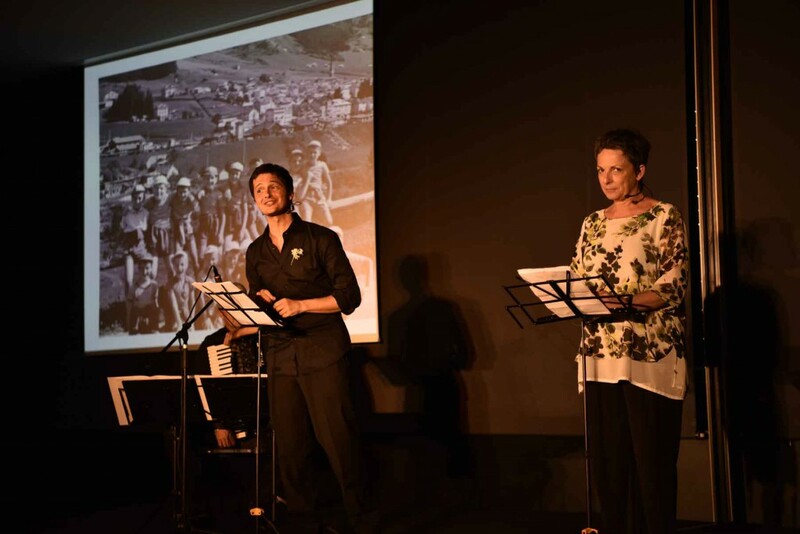 The OTAF Foundation promoted an artistic and training project with the aim to celebrate 100 years of its service experience for the disabled people. As the first stage of this creative journey, on 6 December 2016 was organized the “Feast of Light”, a community event that showed collective rites and theatrical narrative inspired by the theme of the house, with the aim of presenting the work done at families and operators. 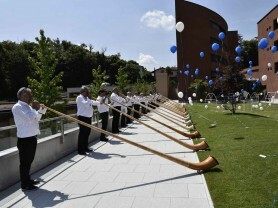 The event was aimed at raising awareness of the OTAF community towards the work that the SCT Centre team had led until that moment and at enticing the public to participate in the community event in June. The theatrical action of the evening was developed around the idea of ​​transforming the traditional Christmas tree into a Tree of Light created by the OTAF carpentry lab: instead of the usual decorations, the branches were hanging small lighthouses built by the trainees of the lab. The team has worked with operators, guests and families since September 2016 to engage them in a creative journey that affects the entire OTAF community in its various components and could lead to a big community event with a great traveling performance in the spaces of the OTAF. Th event was prepared through a previous work of narrative collection of personal stories, artistic and scenographic revision of the spaces and objects of daily use, creation of material (photographs, small rituals, etc.) with the guests, the operators and the involvement of the people employed in the laboratories active at OTAF. Since June 2016 a training course for a group of 20 OTAF operators has been activated. 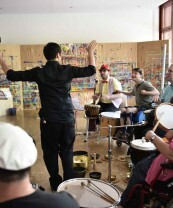 In addition to receiving specific team building training (relationship, communication, motivation, resilience) through theatrical techniques (training, role-playing, narration), this group was directly involved in the design of the entire “Feast of Light” project in order to get to be the group of “sensitive antennas” engaged in informing, sensitizing and engaging other operators. 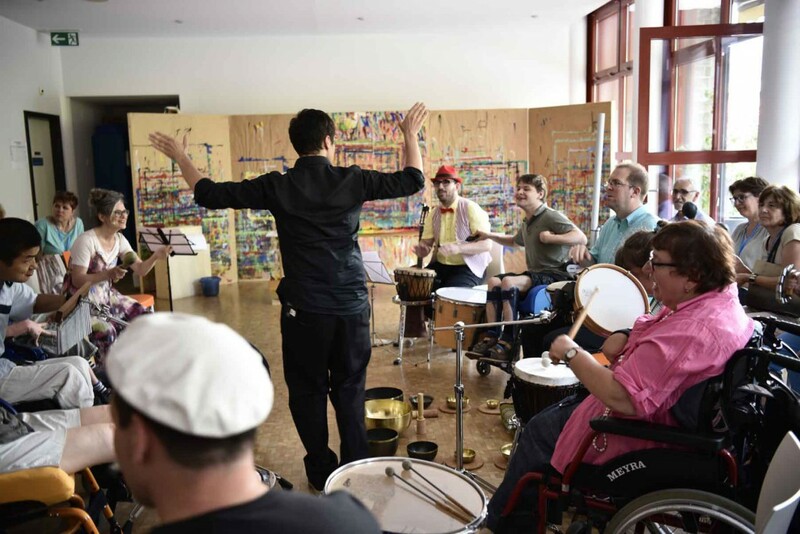 The ultimate goal is that the group can acquire, through training, the tools to continue the process of involving the citizens in common cultural activities once the Albergo della Luce project will have been completed. Autumn 2017: completion of team building training (with remote monitoring) and orientation to the group in order to be able to develop autonomous planning of how to collaborate with the territory. “There is no real impediment, but there are some mental obstacles in the heads of some people who believe that a person with disabilities is a useless, purposeless and unassuming person. I, like everyone else, want to exist, have a role, a place, a work, I want to love and be loved. 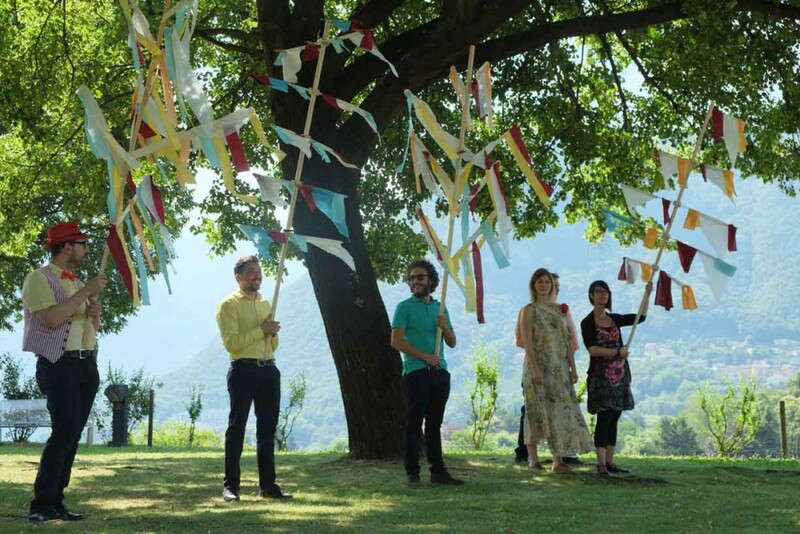 ” On Tuesday, 5 December 2017 the show ” The building of love” debuts in Bellinzona. 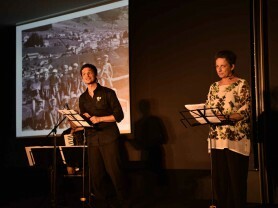 Staged by the professional actors Alberto Pagliarino and Antonella Enrietto, it focuses on the centenary story of OTAF Foundation, on the stories of his various protagonists and the territory. 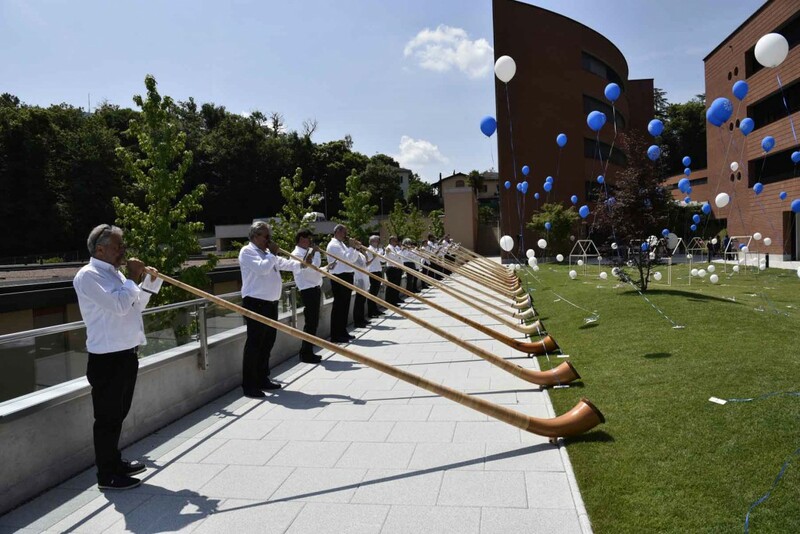 Reservation is recommended at: giuseppe.mimmo@otaf.ch – phone 091 985 33 85 (office hours). The project has been accurately documented through photos and videos that will become a documentary with the aim of bringing back some of the moments of the long creative journey. It will also include interviews with citizens and viewers. Danilo Broggini, Zeno Gabaglio, Claude Hauri, Beatrice Lupi, Francesco Paganini, Dario Plozner, Manuela Ravaglioli. The4Cellos: Milo Ferrazzini, Michele Martignoni,Sandro Meszaros, Meli Yamashita. 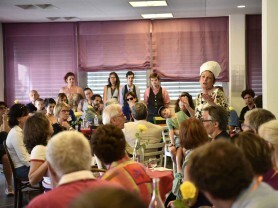 Sabrina Aggio, Angela Bergamelli, Deborah Bettinelli, Rosanna Brianza, Arno Cadisch, Luigi Davi, Andrea Della Neve, Elisa DellaNeve, Raffaele Di Poto, Jürg Eberli, Luca Knight, Olvin Losa, Michele Macchi, Francesco Vanoni.